This workshop is for those who are new to neurofeedback (NFB), considering entering the field or incorporating NFB into an existing practice, or looking for a current, research-based NFB refresher. Dr. Richard Soutar will cover the basics, key concepts and skill areas including the theory and methods behind NFB and qEEG, practical applications in clinical settings, basic brain anatomy and assessment procedures, EEG biofeedback software, and basic dimensions of brain maps. 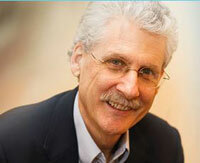 Richard Soutar, PhD, BCN is a clinician, published author in the area of neurofeedback and international workshop leader. He is a former professor of psychology and sociology, director, and business administrator of several clinics. He developed the first internet training course for neurofeedback approved by the Biofeedback Certification International Alliance (BCIA). He has served as Secretary of the Neurofeedback Division of the Association of Applied Psychophysiology and Biofeedback (AAPB) and past president. He is Director of Research and Development for New Mind Technologies where he develops training equipment, brain mapping databases, assessment instruments and software programs for neurofeedback clinicians.